The art of botanical painting. As a subject for a botanical study or sketchbook, how to paint a cherry using watercolours is a great way to develop wet-in-wet and wet-in-dry botanical watercolour techniques on a simple subject. The different approaches enable the layers to be built up fairly quickly with specific detail added for a more realistic effect. There’s a big choice on colours too, from yellow, to pink, to red, to almost black – something for everyone and a simple way to develop colour-mixing skills or colour charts. 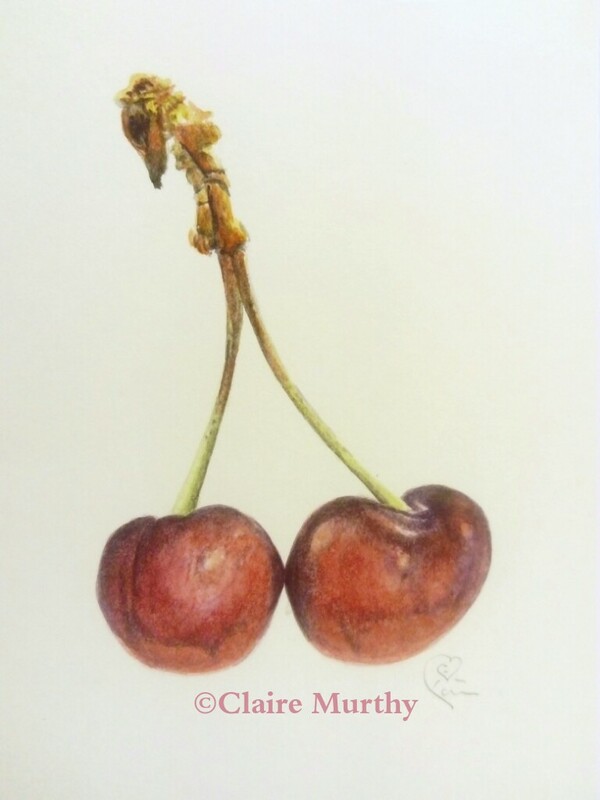 Paint cherries from the ‘Garden of England’. Botanical fruits of the countryside for painting in watercolour and tasty treats for the British birds.